As Team Move Stacey, Kevin and me were in our early experiments already making use of pre-shaped glass that we could find in form of screw top jars, glass bottles and light bulbs. At this time we were trying to figure out how to improve the light of candles which the two of them use at home instead of electricity. That especially by focussing it with the help of glass and water. Even though we could not really get satisfying results there, i was fascinated by the material of glass and how relatively easy the already existing shapes could be divided and transformed into something new. Through getting impressions of life in Kangemi it felt natural for me to work with free materials and think in objects that could be made by up-cycling existing products. I had the idea to create a design that could be re-created in a do-it-yourself version by the people in Kangemi using free materials and simple tools and techniques. 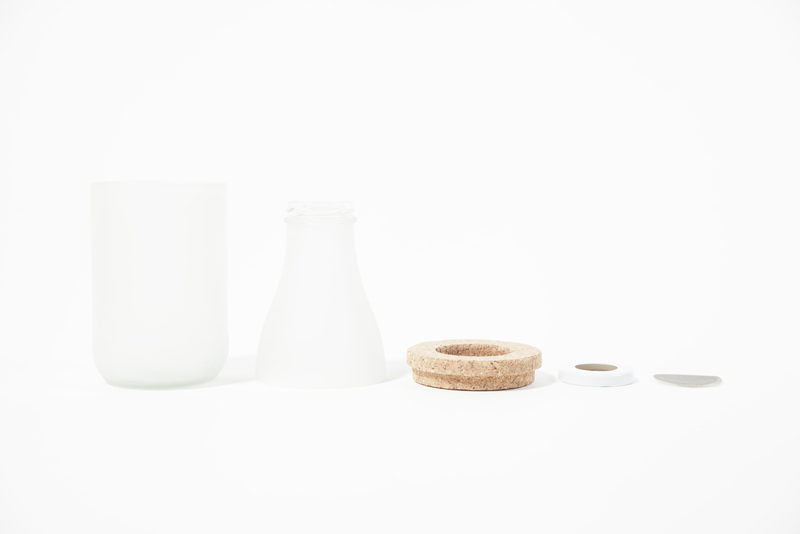 XU is a tea and coffee maker that is made of a one liter milk bottle cut in two. The outsides of the glass are sandblasted to get a milky surface that only allows allusions of what is inside to come through and provides more grip for the hand. The bottle top is made use of as a part of the filter system. 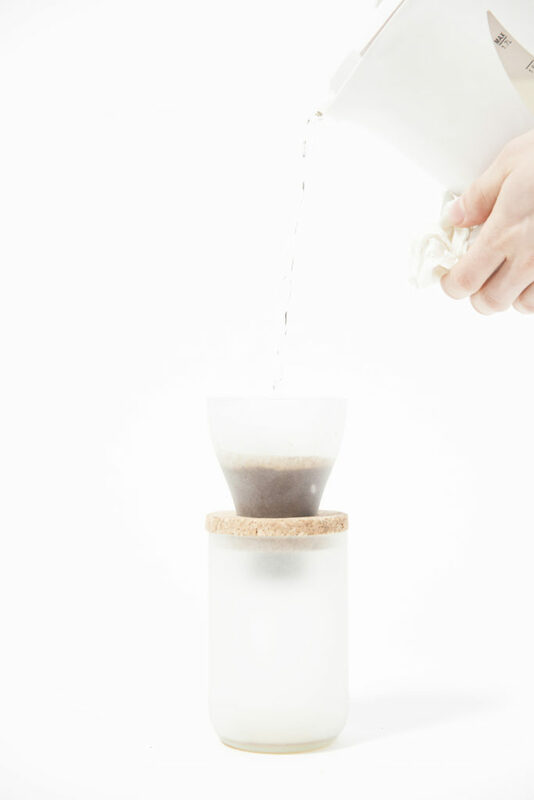 It is drilled through and gives hold to the stainless steel wire frame piece that will filter the tea and the coffee. Either one can put the upper bottle part reversed into the lower part, add tea and boiled water and let the tea steep in there. 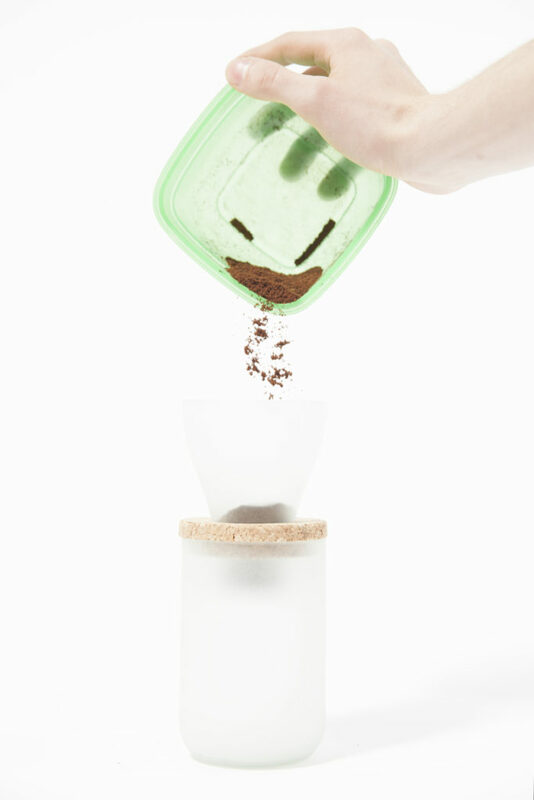 Or one can use the connection ring made from cork to create distance between the two bottle parts, add coffee powder and water and let the fresh coffee drip through the filter into the bottles bottom that serves as a drinking glass. 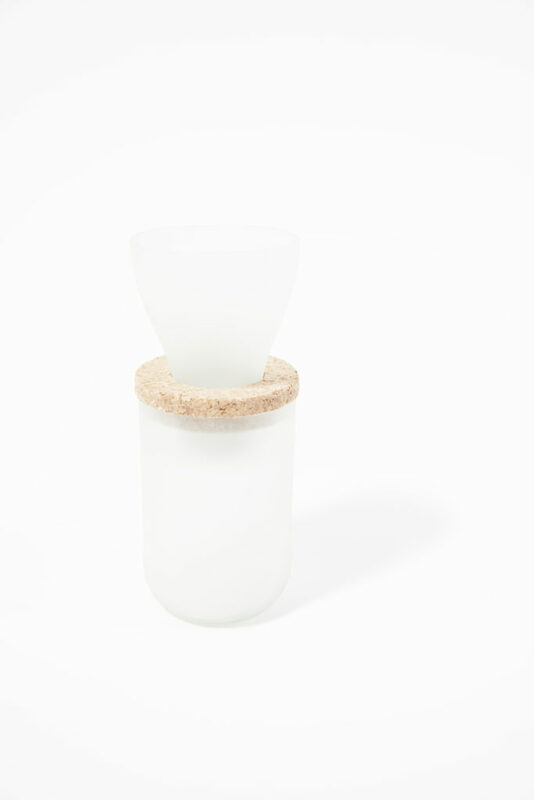 In the DIY version the bottle gets scored in the right place with a simple glass cutter and a self build device to hold the bottle and the cutter in place. Then the bottle gets split using thermal stress on the score that causes the glass to crack. The edges get sanded with sand paper. Instead of cork a ring for example made out of ropes from the Ropery project can suit as a connector. A piece of cotton cloth works very well as a filter instead of a wire frame.